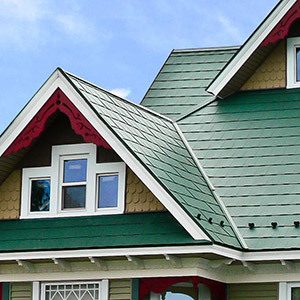 Metal roofing offers great beauty and flexibility to enhance all residential architectural styles. When it comes to a residential development, aesthetics play a huge role in property values and neighborhood desirability. Homeowners Associations and Architectural Review Boards seek to maintain and increase property values through the pleasing beauty of the homes they watch over. 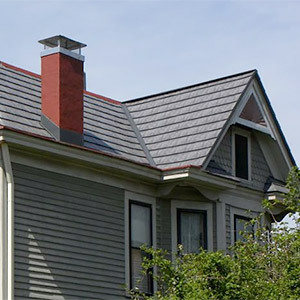 Metal roofing not only offers sustainability and other benefits to homeowners, but it also offers a variety of looks for beautifying homes of any architectural design. 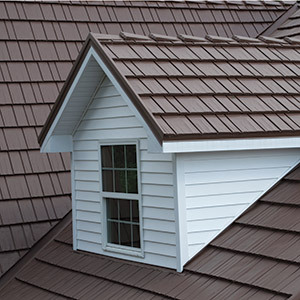 Quality metal roofs can be purchased that have the look of traditional standing seam. They can also have the beauty of slate, wood shakes, tile, or standard shingles. 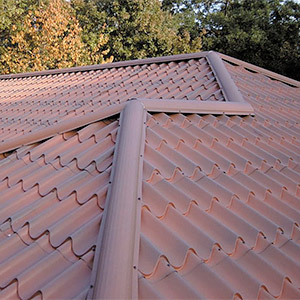 In comparison to the products they look like, though, metal roofs maintain their beauty rather than deteriorate rapidly. Metal roofing can adapt to virtually all types of roofs from steep slope to low slope to mansards to gambrels to rounded and arched roofs. The formability of quality metal coil offers limitless opportunities for all neighborhoods. We can help you choose the right style of metal roofing for your neighborhood residences, town home community, or multi-family property. Ask us for a no-obligation design conversation.